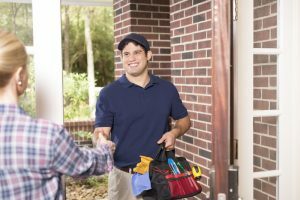 Here’s How to Find a Worthwhile HVAC Contractor | Atlantic Refrigeration and Air Conditioning, Inc. Some HVAC contractors offer 24/7 emergency services. They’ll be there for you when you need it most, no matter the time. They’re full-time HVAC technicians: It takes a full-time HVAC contractor to devote themselves to prompt, 24/7 service. A handyman or someone who dabbles in HVAC services won’t be able to keep this promise. They have a full staff: There’s no way an HVAC company is going to offer emergency services if they don’t have a full staff. Nothing says “established, successful business” like having staff available around the clock. They’ve got the tools for the job: Dispatching technicians for emergency calls means having several trucks, fully-stocked and prepared for any job. Again, this isn’t something your average handyman will have. Do They Do More Than Just Temperature Control? “HVAC” stands for “heating, ventilation, and air conditioning.” Yet, many homeowners forget all about the “V.” But your HVAC contractor shouldn’t! Being an HVAC tech goes beyond installing heating and cooling machines. Ventilation and air quality are equally important. Air filtration and purification, humidity control, ductwork, energy recovery… These are all products and services that signify a well-rounded HVAC technician—one who can assess your home heating and cooling needs while looking at the big picture. Even if you don’t need these services, knowing that your contractor offers them is reassurance that you’re working with an expert. Before installing any heating or cooling equipment in your home, your HVAC contractor will give you a written estimate that outlines all the costs of the project. But if this contractor gives you an estimate without asking any questions or assessing your home’s current problems, you need to be careful. Preparing an estimate for installation is not a quick and easy task. Your home must be thoroughly inspected to ensure that your new system will perform properly. Rushing through this process often leads to over or undersized HVAC systems (and there’s no cure for that, aside from replacing the system entirely). You’ll also want to make sure that the estimate covers any costs for potential issues. Every job has its share of unforeseen circumstances, and a good HVAC contractor will account for that in their estimate, so be careful about estimates that seem too low. Looking for an HVAC contractor in Delaware? We’re here for you! Contact Atlantic Refrigeration & Air Conditioning, Inc. today to schedule a service.